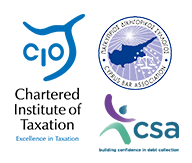 Located in Cyprus, where a true international business center appears to be emerging in the last decades, our Firm purposefully assumes its role to this welcoming development, maintaining itself on the front line to changes in the laws and embracing its duties into the transformation that our island is undergoing. Our Firm was founded in 2009 as a result of an undeterred enthusiasm to embark head onto the business world and the legal profession. Since then we have gone through noteworthy successes but also through hurdles and tribulations, especially finding ourselves in the midst of the global financial crisis which has made itself visible in our island in 2013. Such trials had given us the opportunity to test our will and perseverance to break through this demanding environment while humbling us enough to grow and become a mature firm, well equipped, to sail into the future. We find pride into the fact that a great majority of our preferred clients remain with us for years and continue to trust us to serve their legal and tax affairs. To succeed in today’s complex and dynamic marketplace, clients need a strategic collaborator who understands their objectives and can swiftly navigate through this intricate international regulatory and business environment. We thoroughly understand the clients’ need for a competent legal firm who maintains confidentiality as a fundamental principle of its practice and can apply a holistic approach by assessing legal, compliance and tax risks while being able to provide precise and correct advice. We have evolved and we will continue to evolve into this role, hand in hand with the current revolution in the business and technological worlds. We are a International law firm located in Cyprus with expertise in Commercial, Tax and Immigration services. We apply the legal knowledge and technique while never loosing sight to our clients ultimate objectives. We understand that any application of our practice should form an integral part of the overall strategy of our clients. We seek to maintain the highest level of integrity and transparency in our dealings with clients and associated parties. We are firm believers that an integrous and transparent approach builds unbreakable foundations to the establishment of long term relationships. We have come to understand that, the more simple the application of the legal knowledge and technique the more solid the outcome becomes. We apply this approach to most our dealings from the smallest to the largest. A resultant scenario where all parties to a transaction or dispute have shared a winning attitude is always best, as it strengthens the outcome and enhances business and human relationships. Understanding and applying the win win scenario saves costs , time and burdens to all parties involved. We get things done. We maintain a result oriented mentality and we get the sought after result from first time.We recognize that achieving results for our clients does not always involve a jurisprudential approach to the letter of the law but rather a balancing of involved parties dynamics in conjunction with the letter of the law. Tax, Trusts and Estates Lawyers for Individuals and Families.